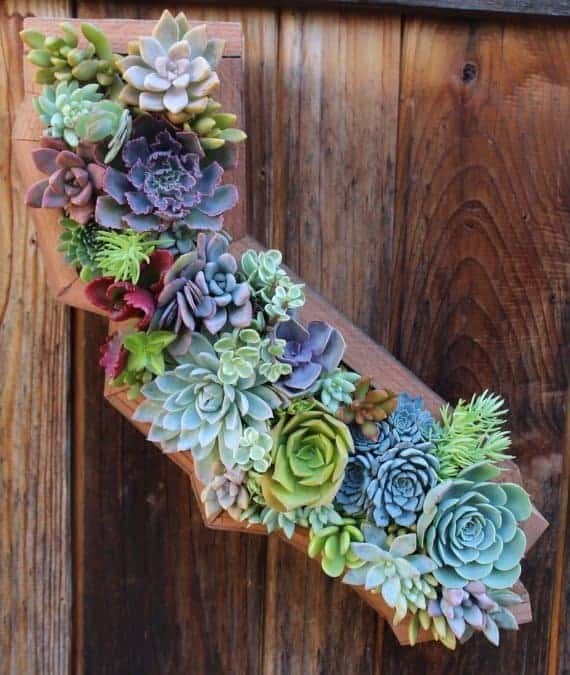 If you’ve ever wondered where the best place to meet fellow succulent lovers is, the answer is California! The mild winters and perfectly comfortable summers of coastal California are ideal for succulents and cacti. Whether you’re planning a sunny vacation in a cacti-friendly climate, or are looking to settle down in a city where you can expand your garden, these four cities will welcome you and your passion for succulents. Each city boasts botanical gardens, incredible nurseries, and stunning natural landscapes. No matter which city you choose, you’re guaranteed to feel right at home. Are you dreaming of a beautiful ocean-side city with a climate perfect for succulents? Then San Diego might be exactly where you belong. Sure, the sandy beaches and world-famous Balboa Park are great, but did we mention how perfect the climate is for succulents? With frost-free winters and comfortably warm summers, San Diego is a succulent lover’s paradise. If you need a little inspiration for your own garden, or simply want to see exotic varieties of succulents, check out the San Diego Botanical Garden. Covering over 35 acres, the Garden features hundreds of fascinating varieties of succulents and cacti. They also offer classes on plant care and various succulent projects throughout the year. Every October, they also hold their annual cacti and succulent show and sale, where you can view award-winning plants and add a few new varieties to your collection. If you can’t wait until October to add a few new plants to your own garden, don’t worry, San Diego is surrounded by succulent nurseries! Although the Succulent Source is not open to the public, they are located in nearby Valley Center. If you’re curious about what they have to offer, check out our review of the Succulent Source. Fat Plants is also a great place to find new and interesting succulents. If you’re willing to take a short trip to Solano Beach, you can find an impressive variety of succulents and cacti at Solano Succulents. 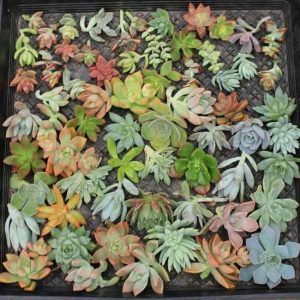 These are just a few of the many succulent nurseries located in the San Diego area. Need a few new plants to remember your trip to San Diego? Check out the Succulent Source! Although LA is famous for the glitz and glamour of the film industry, the City of Angels is also one of California’s top succulent destinations. Like much of southern California, the weather is ideal year-round for succulents and cacti. In Los Angeles, succulents can be grown both indoors and out, thriving in the mild temperatures and sunny weather. If you’re looking for a casual stroll through a prickly paradise, check out the Mulholland and Topanga Cactus Garden. Located at the intersection of Mulholland Drive and Topanga Canyon Boulevard, this odd and interesting garden is a great place to check out California cacti. The dusty paths wind through the property among cacti, palm trees, decorative arches, and sculptures. If you’d rather wander through plants you can actually purchase, Los Angeles has a huge selection of succulent and cacti nurseries. The California Cactus Center, in nearby Pasadena, is an open-air nursery that carries hundreds of varieties of cacti, succulents, and containers. It’s the perfect place to spend an afternoon shopping for new plants. Francis Cactus Succulents in North Hollywood is another great place to find new varieties of succulents to add to your collection. Other notable nurseries include Sunset Boulevard Nursery and Ponderosa Cactus, but it would be impossible to list all of the amazing nurseries surrounding Los Angeles. Pretty succulent container garden with colorful plants such as Crassula pubescens ssp. radicans and Anacampseros rufescens “Rainbow Sand Rose”. Located a little further north than some of the other succulent wonderlands, San Jose is a beautiful city filled with succulent and cacti aficionados. With little to no frost and an average summer temperature of 81̊ Fahrenheit, its the perfect place to plant a garden full of drought-tolerant plants. Finding new friends with an interest in succulents won’t be difficult if you get in touch with the Cactus and Succulent Society of San Jose. Attend one of their regular meetings or their annual Spring Sale and Show, and you’re sure to meet interesting people and you may come home with even more interesting plants. If you need to add a few new plants to your collection while you’re in town, take a short trip south of San Jose to Castroville, where you’ll find Succulent Gardens. This spectacular nursery has everything you need to create the garden of your dreams, but it’s definitely not the only place to find beautiful plants in the area. There are plenty of other irresistible nurseries in the area, so be sure to plan enough time to visit a few. You can find these gorgeous plants and more at Succulent Gardens in Castroville, California. Palm Springs, California is a desert paradise for succulent and cacti lovers. A popular resort destination, the city boasts natural hot springs, luxury hotels and spas, and incredible desert foliage. If you’re in need of a little pampering, take a trip to Palm Springs and it might just be the succulent city of your dreams. The Living Desert Zoo and Gardens is the perfect place to see the plants and wildlife native to the Palm Springs area. From Coastal Agave to Saguaro cacti, you’ll see an amazing variety of succulents and cacti. The Moorten Botanical Gardens is another great place to see gorgeous desert plants. This small but mighty garden is open year-round and features over 3,000 varieties of plants. If you can’t resist the urge to buy a few new plants while you’re in town, check out Mariscal Cactus and Succulents. You’ll find an incredible selection of succulents and cacti in all shapes and sizes. Cactus Mart is another great nursery, with hundreds of varieties of plants available. If you still can’t find what you’re looking for, there are plenty of other nurseries in the area, too. If your daydreams include plenty of sunshine, succulents, and mild weather, it might be time to make those dreams a reality and head to California. Beautiful succulents and cacti can be found in all four of these fabulous cities, so rather than visiting just one, why not see them all? You may just decide to pack up your garden and call California home.